Praise the sun? Bandai Namco has revealed its “big” announcement to be an official Dark Souls III clothing line that has now launched across Europe and the UK. Taking to Twitter only yesterday, the Japanese publisher had fans on tenterhooks with many believing that a licensed board game or a possible PS4 and Xbox One remaster of the original Dark Souls was in the works. 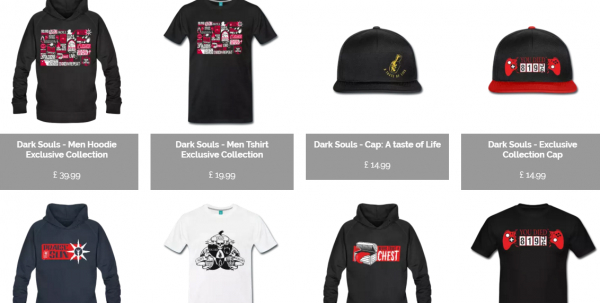 And so, just as Konami did prior to the launch of Metal Gear Solid V: The Phantom Pain, Bandai has launched an online store lined with official Dark Souls memorabilia, lending ardent supports of the RPG franchise the chance to pick up some non-gaming related material before Dark Souls III lands early next week. On the digital storefront you’ll find T-shirts, hoodies, caps and the like all stylized after From Software’s esteemed series – or sporting meme-worthy quotes (praise the Sun!) inspired by various NPCs encountered across the franchise. Alas, Bandai Namco’s “big” announcement proved to be neither in relation to the Dark Souls III season pass or the possibility of a current-gen remaster. No word yet on whether the store will expand to North America, but we’ll keep you updated as we learn more. On the other hand, Bandai’s anticipated threequel launches across PS4, Xbox One and PC on April 12.